If God’s Presence lives inside of me, how does this impact my life? If I’m supposed to imitate Jesus, can I also walk in miracles and power? If the Holy Spirit is always with me, how do I hear and respond to Him? 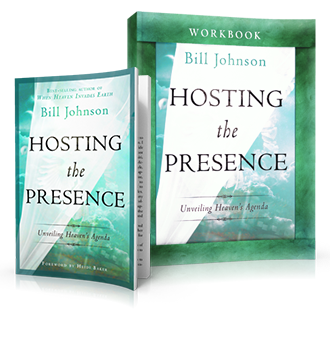 In this eight-session curriculum — ideal for small groups, Bible studies, church classes, and individuals — Pastor Bill Johnson takes you on an unforgettable journey, answering these questions from Scripture and reveals what it looks like to host God’s Presence in your everyday life. Each session runs approx. 20 to 25 minutes in length, is ideal for showing in a small group or church class setting, and features dynamic new teaching from Pastor Bill Johnson—taught live at the Bethel School of Supernatural Ministry in Redding, CA. Each session is designed to follow the participant workbook.